Briefly, I want to do a round-up on the January 21st protests. I will, for the most part, keep my commentary to a minimum. However, I do want to say how proud I was to see such an enormous amount, and diverse group of people coming together, not just for the greater good of our country and humanity, but for the issues closest to their hearts. 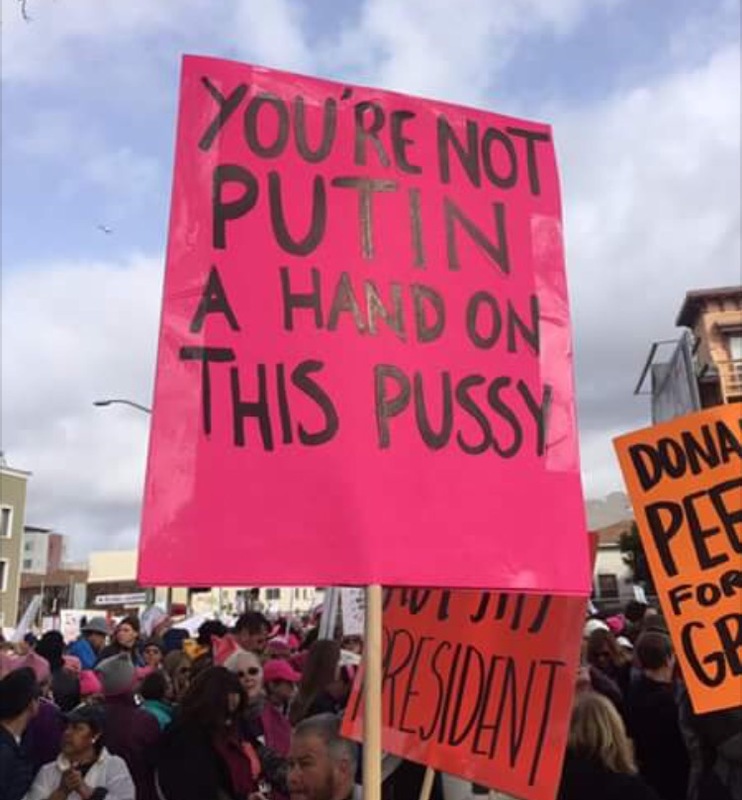 I saw people marching for science and climate change, for women’s rights, for disability rights, or for no other reason than we elected a man unfit to be president. It was such a beautiful thing. And from my physical vantage point it was almost shocking to see so many people congregate. When you’ve been stuck in a room, which at most holds five people, you forget how many people are actually out in the world. 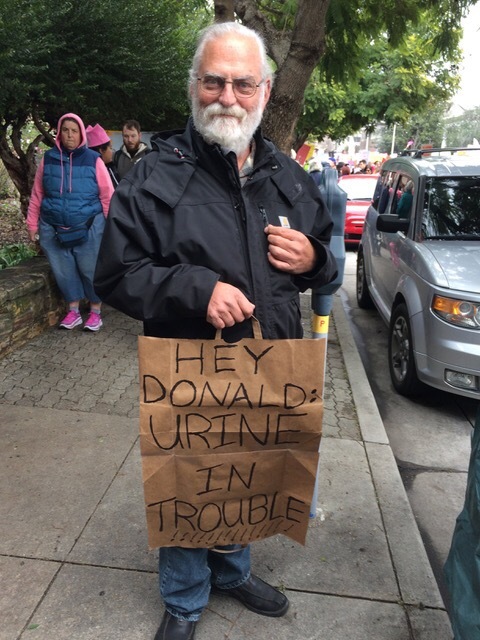 Throughout the day friends and family sent me photos of their respective protests. 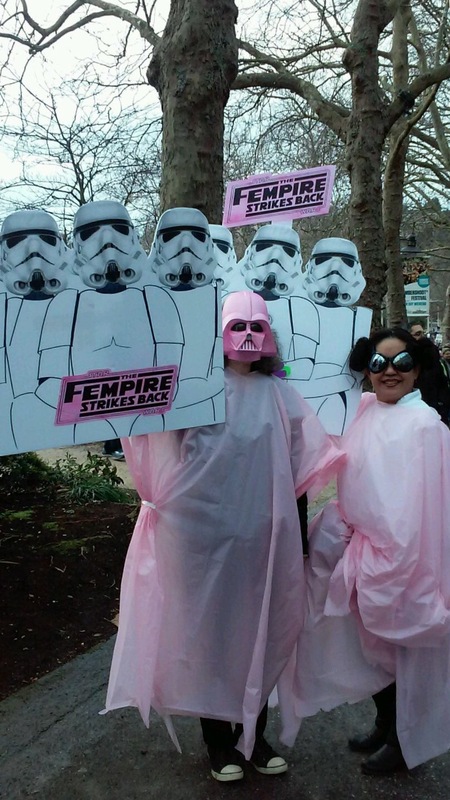 My lovely godmother sent me some great shots from Seattle, where nearly 200,000 people gathered to protest. 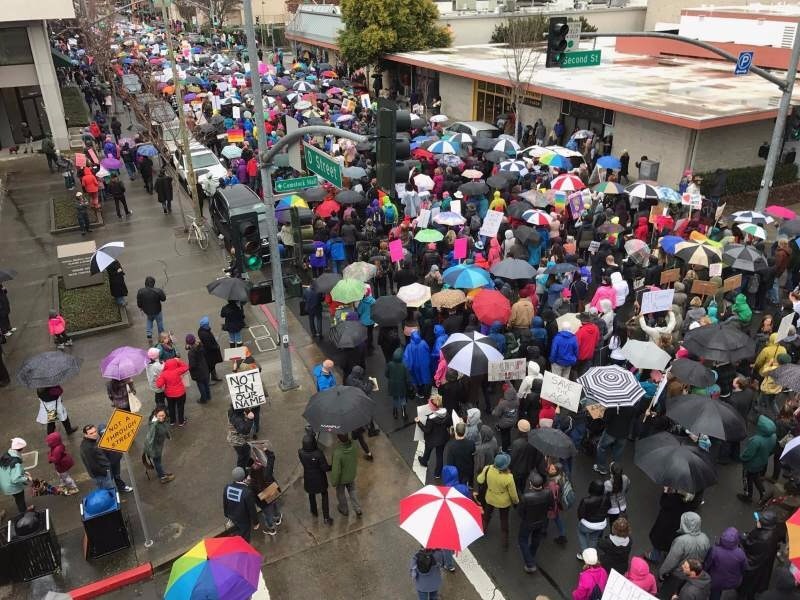 My dad sent me photos from my hometown, Santa Cruz, California, where an estimated 10,000 people marched. Santa Rosa, California, near where I went to college, had more than 20,000 people assemble. 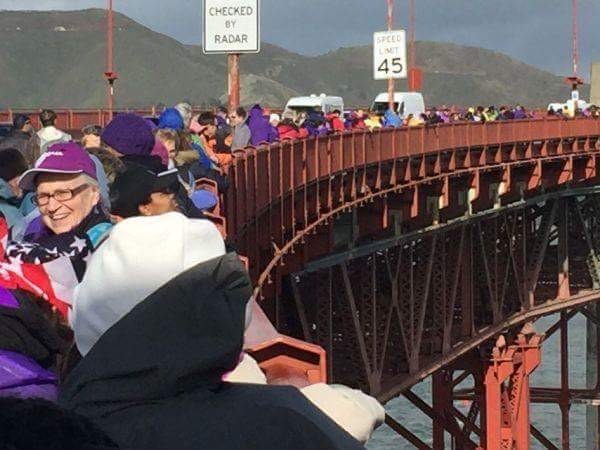 To the south, 3,500 people formed a human chain across the Golden Gate Bridge. 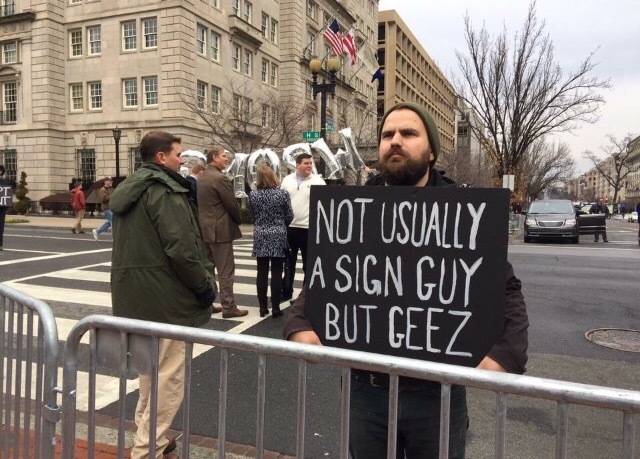 Lastly, in all seriousness, I think it is important to note that if, on any given day, any one of the protests from last weekend occurred, it would surely have made national headlines or gone viral on the Internet. 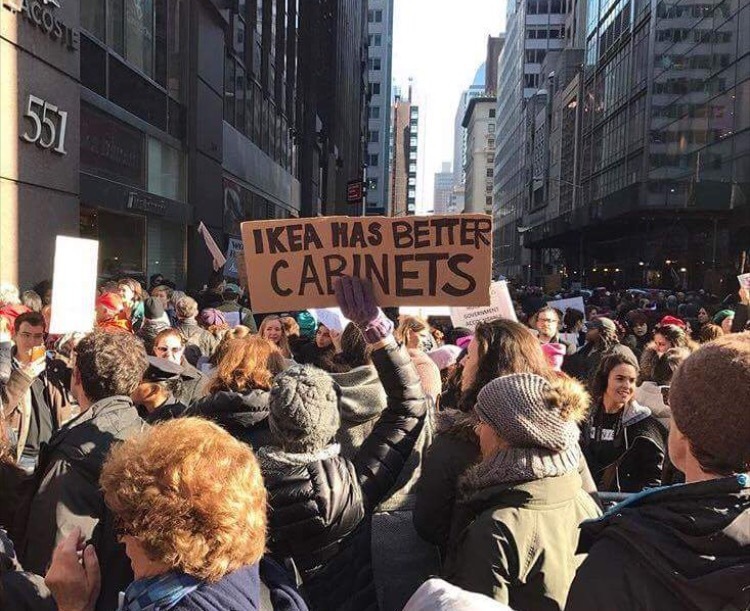 But there were literally hundreds of these protests around the world, which is truly remarkable, unprecedented, really. Never before have I seen such wide-spread, simultaneous, mass protesting. I mean, something in our country must be really messed up, right? When that many people gather, they must be trying to say something. And I don’t care who you are or what you believe, you better listen, or one day soon you’ll wish you had.